Museum 2.0: What Should Happen to Underperforming Nonprofit Organizations? What Should Happen to Underperforming Nonprofit Organizations? "I want death panels. I want to kill organizations that aren't showing their value." Now that's the kind of sentence that makes you put down your fork. Devon didn't mince words. "Some organizations are going to die," she stated. "I want to incentivize them to die quicker." She argued that we need a way to correct for the fact that nonprofits don't operate in a traditional capitalist marketplace, and therefore aren't subject to the market forces that might otherwise cause them to fold when they are no longer useful. Hence, death panels. For a long time, I agreed with this argument. Like a lot of people, I am incredibly frustrated by organizations floating on endowments that allow them to sail on regardless of impact or community relevance. I'm pissed off that well-capitalized organizations that engage a narrowing constituency can raise millions while young organizations struggle to be viable even as they produce powerful work for growing communities. I agree with Devon that more mergers and accountability would be a great thing. I wish organizations would focus more on creating amazing work than on sustaining operations. But here I sit, the director of a museum that almost closed, squirreling away money for an operating reserve. I am part of the problem. And proud of it. As I've watched arts organizations struggle over the past few years, I haven't thought, "gee, it's great that the market is causing these places to shut down." I haven't thought, "wow, the market is really resetting our field in a productive way." Instead, I've thought, "this is wasteful and depressing." Consider two high-profile arts closures in 2013: that of Shakespeare Santa Cruz and the 3rd Ward. Neither of these organizations closed because of a collective decision that they had outlived their usefulness. They closed for capricious financial reasons, and they left disappointed artists and participants in their wake. Could each have offered MORE community value? Absolutely. But when market forces hit arts organizations, it doesn't necessarily mean a more useful outcome than when arts organizations are insulated from those same forces with cash reserves, endowments, and other potential hindrances to change. And let's not delude ourselves into thinking that the market does a better job at this than nonprofits. When the dotcom crash started killing off companies in the early 2000s, my DC housemates scavenged strange gifts from vacated offices. We decorated our group house with purloined office chairs and giant motivational posters--the detritus of an industry that was massively hemorrhaging. Yes, the market corrected for the dotcom bubble. But it did so in a way that was wasteful and chaotic. What's the alternative to this waste? We have the opportunity in nonprofits to create a MORE efficient marketplace than capitalism offers. Instead of talking about "creative destruction," I think we should focus on creative reinvention. I firmly believe that there is more value to be created, faster and more efficiently, by reinventing and transforming existing organizations than by killing them and starting again. 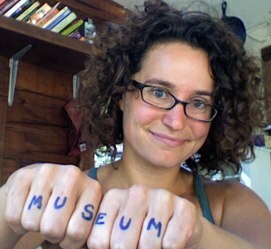 Consider the museum I run. In 2011, we were on very shaky financial ground. Our cash balance was zero, but that wasn't the only asset we had. We had a gorgeous building in the middle of downtown Santa Cruz. We had an army of long-time donors, members, volunteers, and participants who invested a lot in the organization and cared about its longterm future. We had a dedicated staff that wanted to make this museum as good as it could be. We had a vision for the museum as a thriving, central gathering place in the community. As we transformed our programming in pursuit of that vision, we were able to tap these existing assets to quickly and dramatically increase our value to the community. We were able to do that faster than we ever could have if we had started anew. You could argue that if the museum had closed, the resources that had gone into it--money, effort, goodwill--would have been redistributed in the marketplace. But we know that's not exactly what would happen. There would be a lot of leakage. There would be a lot of waste. It would take much more energy to recapture those assets than to redirect them. And so I issue a challenge to people who are frustrated with arts organizations and their limited relevance to your community: reinvent them. Recombine them. Reenergize them. Instead of starting your own organization, find a way to add value to one that already exists. House your program in an underutilized library. Pitch your project to a struggling symphony. Sure, some of those organizations are not going to change, or not enough, to be worth your participation. But some will. Forget killing. Forget life support. Let's revitalize our communities, and the organizations that engage them, with the courage and creativity they deserve.